Posted on 4 July 2015 at 9:32 pm. We were packing up to leave from our Easter holiday and I noticed the kids talking about ‘next time…’. So sure were they that there would be a ‘next time’ in that place…but will there be? 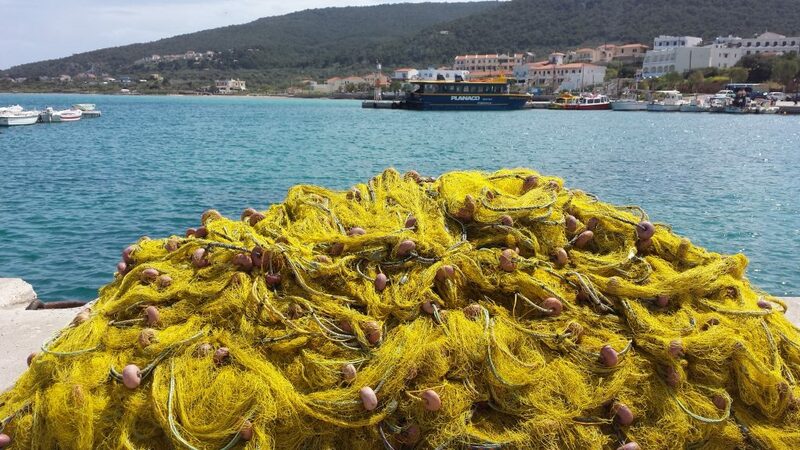 As we pulled out of the harbour with the yellow fishing nets behind us we had know idea that in a few months the situaion in Greece would have changed so radically. They talked about ‘next time’ when we went to Butlins (no sniggering now) over 4 years ago and yet we’ve not been back. The thing is with some last times is we don’t see them coming. Eldest son knew his time at primary school was coming to an end and so we could work through the feelings of that and look forward to secondary school. There was a group of us mums who used to spend a lot of after school time together with the kids…and now it’s so hard to do that as the kids have moved on and made new friends. I didn’t even notice the last time we had tea with E and her kids…I didn’t notice the last time A came round to play. But that phase of childhood ended quietly and without warning. Just so with holiday. I can’t guarantee we will ever go on holiday again…that may have been the last time we get on a plane. When First Love died, I remember trying to recall our last kiss…I couldn’t. At the time it hadn’t been remarkable, until I realised, looking back, it was the last. If I had known the Christmas of 2000 was going to be mum’s last, I would have spent it with her and not with friends and my partner’s family. There are people who I’ve been really close to, who I haven’t seen for years…as I waved them off, I didn’t know it would be the last time we saw each other. Are there places you said you’d go back to and haven’t? Are there people you said ‘see you soon’ too and haven’t seen again? And with our children, there are so many last times that we don’t see until they’ve happened. The last time you selected their clothes for them. The last tooth fairy visit. The last time they sucked their thumb. Just the other week I took Youngest Son into school and he waved me off at the gate rather than wanting me to go inside with him. I didn’t know that it would be the end of my in-class-farewells. I used to read them stories every night before bed..not anymore…now we all read our own books, together, sometimes, but in different literary worlds at bed time. When did that happen? What are the ‘last times’ that have come and gone with your kids without you even noticing? I remember feeling sad the last time I fed Youngest Son as I made a conscious decision to stop and knew he was my last child. I’m not sure when I stopped feeding Eldest son, it just happened, but I think I didn’t pay as much attention as I hoped to have another child and do it all again. But not with him. Assuming there will be a ‘next time’ allows us a fantasy that life carries on as it is, that it is more predictable and repetitive than it actually is. I could think about ‘next spring’ but it won’t be this spring and when I think there is a next summer, I fail to notice how precious this one is. If I live to be 90 I will only have experienced 90 first snow drops, 90 first sunny day after the winter. If I live to be 90 I only have 42 April fools days left, only 42 Easter holidays. How many more Easter bunnies will there be before the kids tell him to go away? 4 maximum I reckon. We just can’t count on ‘next time’, we have to notice and appreciate this time. When our kids say: ‘Mum can we go to the park/ ride on the donkey/ have a hug?’ How often do we answer ‘another time’ or ‘not now’? Can you be sure there is going to be another time? Why not now? Would you like to challenge and change those statements in future? More and more as I’m walking or sitting, I’m coming out of my head and all it’s busy thoughts and I’m just noticing and watching the world, myself, other people. I’m focusing on it and trying to see it as if it were my last time. It’s not maudlin, it’s magnificent to notice what is here now. To be present to this moment and these people and this tree and that flower and to really notice it, without taking it for granted because there will be a ‘next time’. When the kids hug me, I try to be present in it, knowing there will be a time when they hugs stop or lessen. If they ask me, ‘can we do this now’, if I can, I say ‘yes’. What do you want to notice and appreciate more? We don’t always get the forewarning that this is our last kiss, the last time on that beach, or that bench. We don’t see the last time until it has gone. So let’s live life a little more as if everything could be a last time and really be present to what we have now. Lots of you (men and women) got in touch about the menopause and there was a real energy to talk about it so please hit reply to this email if you would like to share your experiences. Who is seeing what is to be seen? Identity - who am I?